Providing assistance in the management and support of integrations between tools in our development landscape, including, but not limited to: JIRA, Confluence, Crucible, Fisheye, Smartsheet. 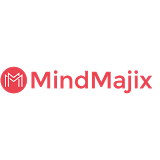 Mindmajix Jira Administration Training: Learn building the applications using JIRA, Logging and Profiling, User and group management, Precompiling JSP pages, Using project roles, JIRA search indexing, Security model Administrators types., etc. You will also get an exposure to industry based Real-time projects in various verticals.